Democrats Abroad Australia Unites to Get-Out-The-Vote! Ever since officially launching the Get-Out-The-Vote (GOTV) effort at our Annual General Meeting, Democrats Abroad Australia members have declared that enough is enough from the current Republican administration. Democrats Abroad Australia is an organisation that is built on a network of supporting US Citizens who call Australia home. As we support each other socially, we build this community of Americans who live overseas and still believe in making a difference. We mobilise because we know every vote matters in this election. 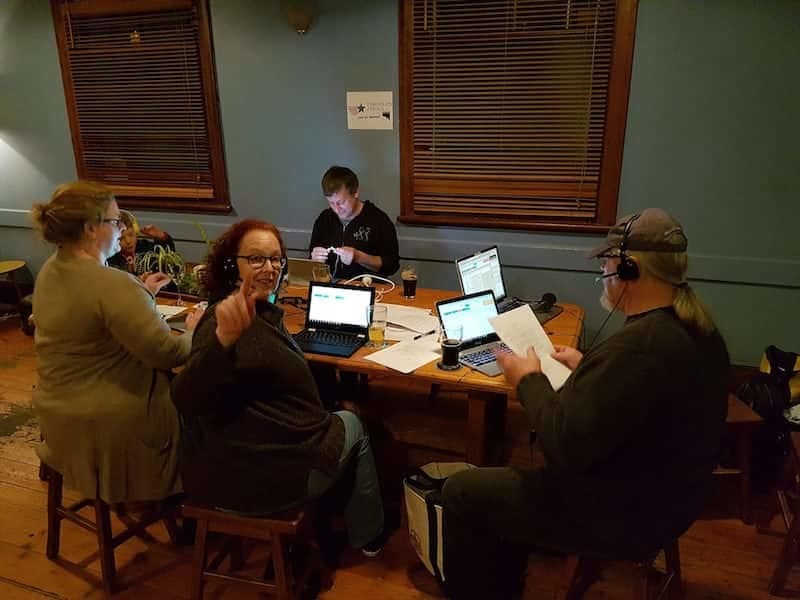 Democrats Abroad Australia volunteers across the country have been calling other members to ensure that we have all requested our ballot using the VoteFromAbroad absentee ballot request. Volunteers from many State Chapters have jumped online to make calls, whether this be together at social meetups for a phonebank or from the comfort of one’s own home. We have contacted hundreds of members and will contact everyone to be sure that everyone is set to receive their ballot for the midterm election! The start of winter has welcomed the start of the new academic year and many students from the US have landed to study at academic institutions across Australia as part of their Study Abroad or Exchange. We have been out to greet them, canvassed at numerous campuses with voter registration booths, provided hundreds of flyers and advice on how they can make sure that their vote counts. A leader in our effort has been the incredible team of the NSW Chapter. Already a core team of volunteers have taken the initiative to stage voter registration awareness events at University of Sydney, University of Technology Sydney, and University of New South Wales with some encouraging results and several future events planned. We continue to reach out to University staff, student clubs, and campus communication channels, asking them to help us get the word out. A staple of Democrats Abroad Australia is how we support each other. As we resist Trumpism, we resist the politics of division - and this means that we support one another through meetups and social events as part of our organisation. Our State Chapters have regular meetings and meetups where members come together and discuss what is most important about being a US citizen abroad. This of course includes at the moment our ambitious GOTV effort, movie watch parties, social hour at the pub, information on taxation abroad and much more. low hanging fruit. The NSW Chapter meet-ups see anywhere from 15-25 members showing up every month. We chat about GOTV efforts and have some friendly banter. 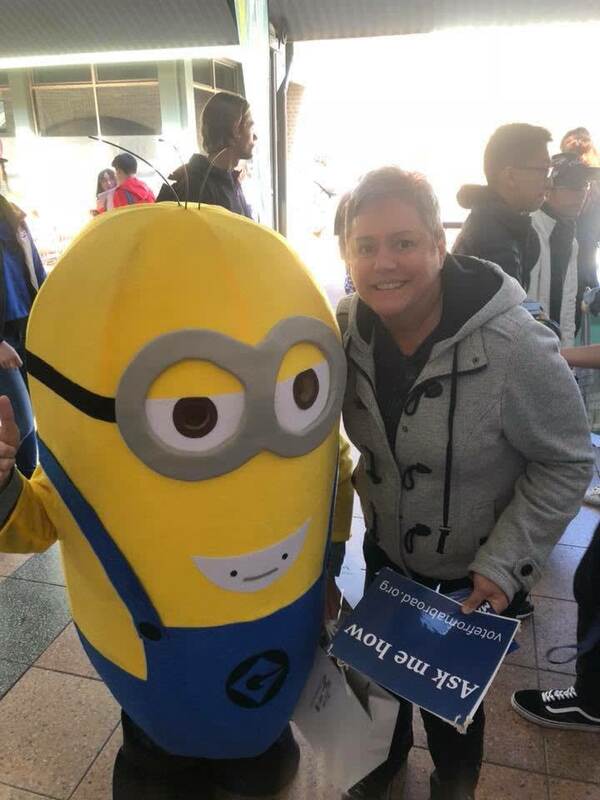 Meet-ups are like the glue that holds the chapter together” states Democrats Abroad NSW Chapter Chair Marla Minow. 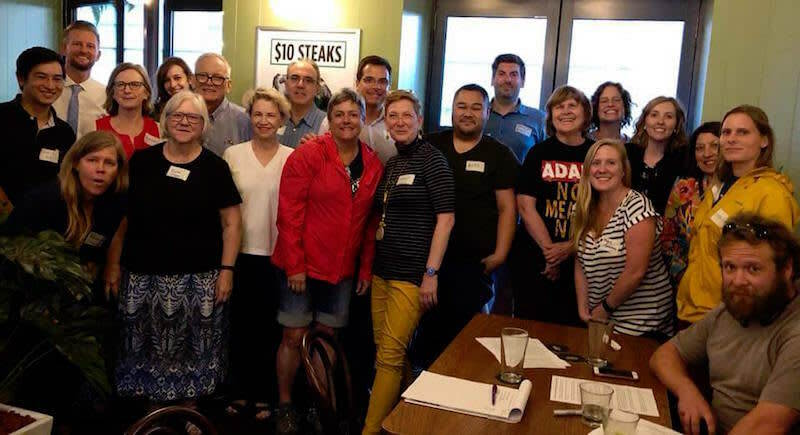 All members from all over Australia are welcome and encouraged to attend our meetings and any US citizen can join Democrats Abroad on the spot! We know that there are nearly 100,000 US Citizens living Down Under and Democrats Abroad Australia is making a coordinated effort online to attempt to reach this audience! Online and in social media, Democrats Abroad Australia is seeking to reach the nearly 100,000 US Citizens living Down Under. Using platforms such as Facebook, Instagram and Snapchat, we are sharing information about how any US citizen can use the VoteFromAbroad website to request their ballot. Democrats Abroad Australia is committed to taking back the House and the Senate for the crucial midterm elections of 2018. We will have no regrets in our efforts to Get Out The Vote. There are numerous attacks on our democracy back home with voter suppression being rampant. Absentee ballots have won close elections in the past and every vote counts. These efforts and more will continue until election day on 6th November 2018. We welcome all members in Democrats Abroad Australia to be involved! Current members can get in touch with us via this form to register your interest and any US Citizens living in Australia can join Democrats Abroad! Democrats Abroad Australia (Democratic Party Caucus Abroad, DPCA) is the official overseas wing of the Democratic Party for American citizens living outside the US and its territories.